BERLIN -- Volkswagen Group asked a U.S. district court to dismiss a class-action lawsuit filed on behalf of investors, arguing the tribunal cannot hear disputes over shares trading mostly in Germany. The filing urges the judge in the court for the northern district of California to rely on a 2010 landmark Supreme Court ruling that says litigation over shares traded outside the U.S. can't be heard in the country, VW said Tuesday in an e-mailed statement. Among the cases VW cited is also one by its holding company Porsche SE, which won dismissal of a $2 billion hedge fund case filed in the Manhattan U.S. district court. Volkswagen was sued by several pension funds, including the Arkansas State Highway Employees' Retirement System and the Miami Police Relief & Pension Fund, which invested in VW's American depositary receipts. The plaintiffs allege that the company defrauded them by misinforming about the dimension of the scandal involving software that allowed millions of cars to cheat emissions tests. The value of the ADRs have fallen 20 percent since the start of the scandal, similar to the decline of the German shares. 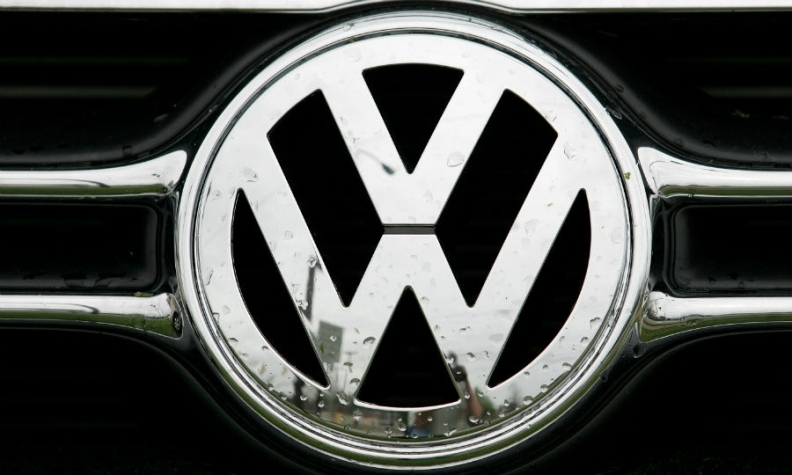 The carmaker is facing various investor lawsuits in Germany. A case filed in March by 278 institutional investors is seeking 3.3 billion euros ($3.4 billion) after more than $20 billion was wiped from the carmaker's market value. The California State Teachers' Retirement System and other institutional investors filed a suit in June, asking for as much as 700 million euros in damages. Prosecutors in VW's home state of Lower Saxony, Germany, are also investigating former CEO Martin Winterkorn and current VW brand chief Herbert Diess for market market manipulation over the issue. Lawyers for Winterkorn and Diess filed separate motions also asking the California court to dismiss the litigation. The case fails to prove that former Winterkorn and Diess were directly involved in the preparation of "allegedly misleading statements," VW said. Winterkorn's lawyers said any claims should be heard in Germany and that he had nothing to do with statements about diesel vehicles made by VW's U.S. unit. Winterkorn said in a declaration to the court that he has not been to the United States since the diesel emissions scandal became public last September, and last visited in July 2015 for previously undisclosed test drives in Florida.